In the 1970s and 1980s New Zealanders enthusiastically participated in an international running boom. 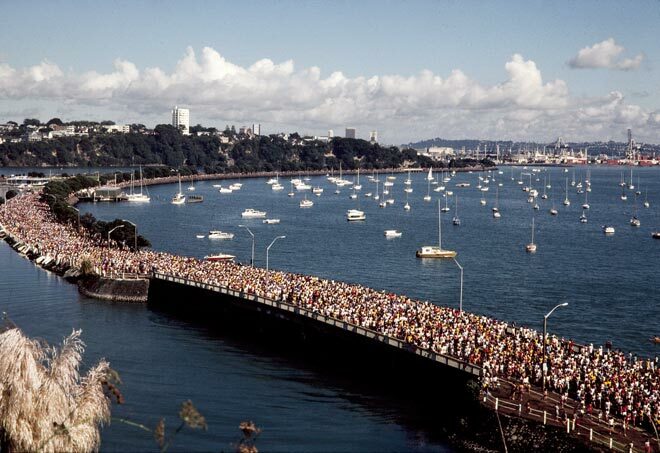 The annual Round the Bays fun run in Auckland, which began in 1973, became one of the largest in the world. Here the participants are running along Tāmaki Drive – the field stretches back all the way around the point in the distance.